There is more pressure than ever own home owners. More and more are struggling to make their mortgage payments every month as the economy continues to stall. But, there are several federal programs available that can possibly help you modify your mortgage to help you prevent defaulting on your home and suffering a foreclosure. Negotiation is necessary if you are finding it hard to keep up with your mortgage payments. One program, which goes by the acronym HAMP, or Home Affordable Modification Program may help you if you find it necessary to renegotiate the current terms of your loan. 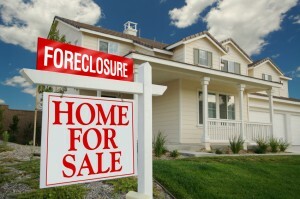 Under the HAMP program, you can possibly prevent foreclosure. Your payment problems can be resolved and modifications may be able to be made by reducing the amount of your principal, lengthening the terms of your loan, and/or putting a cap on the payments you make monthly, with a rate of interest that is 31% of your monthly salary, or reducing your interest to as low as 2%. Another program that is designed to prevent foreclosure is the Home Affordable Refinance Program (HARP). This program has been set up for those individuals who want to take advantage of the lower mortgage rates but who owe more than what their home is worth. You may be eligible for this refinancing program if you own a home that has a mortgage owned or guaranteed by Fannie Mae or Freddie Mac and are current on your mortgage payments and have not been more than 30 days late making a payment within the past twelve months. You can find out more information on the government’s website Making Home Affordable. You can also avoid foreclosure by discussing certain alternatives with your lender. For example, if you are only experiencing a temporary layoff and plan to return to work, you may by able to negotiate with your lender to pay the past due amount plus other charges by a specific date. If you find yourself in the situation where you have only missed a couple of payments, then you might try working out an arrangement with your lender in which he includes a portion of the delinquent amount into some of your payments. You may also be able to make some minor modifications by extending the terms of your loan, adding payments that have not been made on time to the total of the loan, or reducing the APR. Just make sure that you keep all written correspondence and document communications between you and your lender. Include all the specifics, such as time, date, and the nature of the communication. Also, make sure you follow up on your promises by making timely payments or giving feedback as required. You can avoid foreclosure. There are several federal loan programs designed to help prevent foreclosure. Make sure you keep your lender apprised of your situation. As long as you make the appropriate effort and keep the channels of communication open, you can possibly avert problems that will eventually to default and foreclosure.